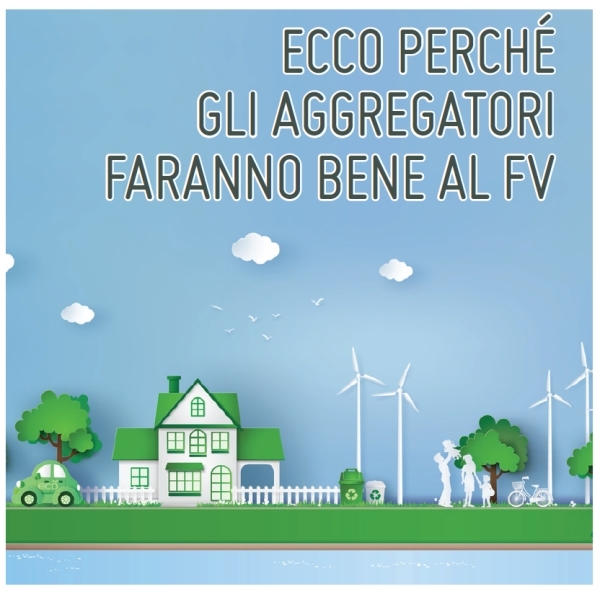 In the SolareB2B gennaio/febbraio issue we talk about aggregators and digitization of the entire energy sector. Our CEO, Massimo Valerii, spoke about smart 2G meters and the integrated use of the IoMETER 2G User Device, in order to monitor production and consumption data. An aggregator is a market operator that creates many virtual power plants consisting of photovoltaic systems and connected storage systems. The aim is to enhance the value on the electricity market of the energy produced and consumed by several customers through plants from renewable sources. Through aggregators, the trader or utility can use part of the energy produced by the plants to offer services to the grid. Photovoltaic plants with aggregated storage systems will thus be able to participate in the dispatching market, i.e. the market that defines the actual inputs and outputs of aggregated units in real time. Terna, a large energy transmission grid operator, has launched a series of pilot projects in Italy to open up the dispatching services market to small production and consumption units. This was done through the figure of the BSP (Balancing Service Provider), a market operator that aggregates all the small units to offer grid services to Terna. The possibility of participating in the photovoltaic and storage dispatching services market is prompting the main photovoltaic players to reshape and innovate their offer, making sure that components such as inverters and storage systems are renewed with new functions that allow them to communicate with the grid. The whole energy sector is moving towards digitization. All data and information must be stored, examined and transmitted as quickly and easily as possible to the trader or utility. Even prosumers, active users, must be able to access this data. To make this possible, the old meters are being replaced by the new 2G meters, which will allow the end customer to monitor real-time production and consumption data. «The current electricity meter installed in the homes of Italians for 15 years, now at the end of its life, must be replaced because imposed by the metrological needs» «In addition, the European Directive n.27/2012 prescribes the need to give the user awareness of their consumption, through appropriate interoperable technological devices. The installation of the new 2G smart meter for the first time in the history of electricity distribution, provides the end user, therefore, the opportunity to have knowledge and awareness of their electricity consumption in real time. This is possible thanks to the integrated and joint use of the new 2G electricity meter and the User Device supplied by companies such as Sinapsi ». The availability of the consumption data and the exceeding of the thresholds in real time will open the way to new application solutions in the field of energy efficiency and to a real integration between home automation systems and the electricity meter of the distribution company. Precisely because of these new opportunities, in March Sinapsi will propose on the Italian market a device that anyone can connect to the power outlet without any installation, to receive data on your smartphone. E-Distribuzione has already replaced about 8 million low voltage meters, a value that will rise to about 12 million by the end of 2019. «In this context» concludes Valerii, «Sinapsi will be able to offer its IoMeter 2G product to energy sellers, energy service companies, as well as the end user itself. The advantage for the end user is the opportunity to have, at a purchase cost in the order of 100 euros, a device that can read simultaneously the data of the production counter of their photovoltaic system and the exchange counter, as well as alert him in the event of exceeding the power thresholds and notices of disconnection. All this with maximum security and respect for the confidentiality of the data».